To be sure, the point of Climate Shock is not to decry the modeling efforts of Nordhaus and other climate economists. “Getting things right is incredibly difficult . . . 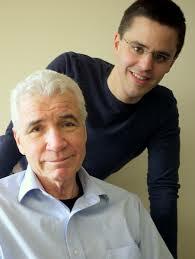 If anything we should be supercharging [carbon pricing models]: IBM-ifying their operation.”(60) It is one thing to calculate “the known knowns”; here, as Wagner and Weitzman explain, Nordhaus’s own modeling is “perennially playing catch up with the latest science.”(59) But the real difficulty is with the “tipping points and other nasty surprises” hidden behind every corner, the “unknown unknowns” that “may yet dominate,” (56) and overwhelm Nordhaus’s casualness. Evident in the title of the review, “A New Solution: the Climate Club,” is Nordhaus’s failure to directly engage the apparent chasm between his own approach and Wagner and Weitzman’s implicit view of the relationship between politics and economics. Wagner and Weitzman are intent to situate climate economics within traditional institutional frameworks (finance, insurance, legality), while Nordhaus (and Shiller) prefer to subordinate politics to economics. Of course, as Nordhaus rightly points out, neither he nor the authors of Climate Shock ally themselves with the call to “overcome capitalism” (e.g., Naomi Klein). Yet a specter is lurking behind Nordhaus’s call for business-friendly “climate clubs” modeled on organizations such as the EU, WTO and/or “military alliances.” Climate clubs a la Nordhaus seek to address the “free-rider” problem regionally, through tariffs on non-participants, but without supervision by external political spectators or truly international institutions. It remains to be seen if a convergence can be found between Nordhaus’s “climate clubs” and Wagner and Weitzman’s more universal, politically-attuned, designs. One key aspect that must be reconciled, of course, is the price itself. If $40 per ton (the present social cost of carbon dioxide, according to the U.S. government) is “the outside” of what is imaginable for Nordhaus, but the apparent bare minimum for Wagner and Weitzman, this negotiation had better get started soon. On your recommendation, I’ve ordered “Climate Shock.” I appreciate Weitzman’s contributions challenging cost-benefit analysis that minimizes high risk climate scenarios, and his recent lucid articulation of the advantages of negotiating a global carbon price. Thanks for sketching how badly Nocera, Shiller and Nordhaus’s reviews seem to miss Wagner & Weitzman’s big points. I look forward to reading the straight story. Thanks Rachel, well done…If we can all get behind just two initiatives: 1. a carbon tax, and 2. voting only for candidates that have a clearly articulated and thought out action plan to address climate change, we will be well on our way to a less frightening and devastating future. 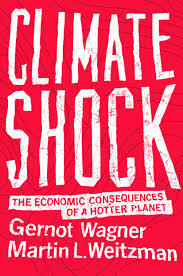 I look forward to reading the Climate Shock. The last paragraph, counterposing the Weitzman-Wagner uniform carbon tax with the Nordhaus Climate Club proposal, is written without understanding the latter. Nordhaus’s theoretical and empirical model strongly supports what Weitzman-Wagner are saying — and Nordhaus also wants a global carbon price/tax. The only difference in his “club” approach is that it shows a way of achieving such a tax among independent states — without having to wait for a global government that might be capable of imposing it.